Pip Sullivan’s tenth birthday was a disaster - and that was only the beginning. With her beloved Sully in hospital and the welfare hot on her heels, Pip needs time, money and a place to stay. She’s determined to stay one step ahead of Senior Constable Molly Dunlop! With help from her friends - including a psychic cat and a canine escape artist - Pip needs to stay out of dreaded foster homes so she can help Sully get better. Plucky ten-year-old Pip has a resourcefulness borne out of challenging circumstances. Cranky old Sully is the only family Pip’s ever known. And family is what you make of the people you have. Never is this truer for Pip than when Sully is hospitalised. Unwilling to fall into a system she’s fearful of, Pip chooses to fend for herself. Few of us will ever experience a life like Pip’s but I defy anyone not to connect with her. She’s one of the most unforgettable protagonists I’ve ever encountered. She’s courageous, quick-witted, imaginative and tenacious. 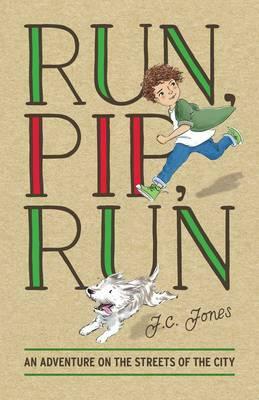 Run, Pip, Run is an exceptionally moving and tender story with a wonderfully wry humour: a slice of life with a voice that’s true. Pip’s search for friendship, family and a place to call home will move your heart just as it moved mine. Highly recommended for ages 9 and up.